This gracious 2,512 SF, 3 bedroom, 3.5 bathroom residence with10' ceilings and 6 inch wide-plank white oak floors throughout, features expansive north and west facing cinematic views of the Manhattan skyline, Hudson River, New York Harbor and beyond. The formal entry foyer leads to a breathtaking corner great room and open kitchen ideal for both entertaining and daily living. Floor-to-ceiling glass wraps this expansive 20'10 inch x 31'6 space allowing for abundant natural light and spectacular north and west facing vistas through the curved facade. 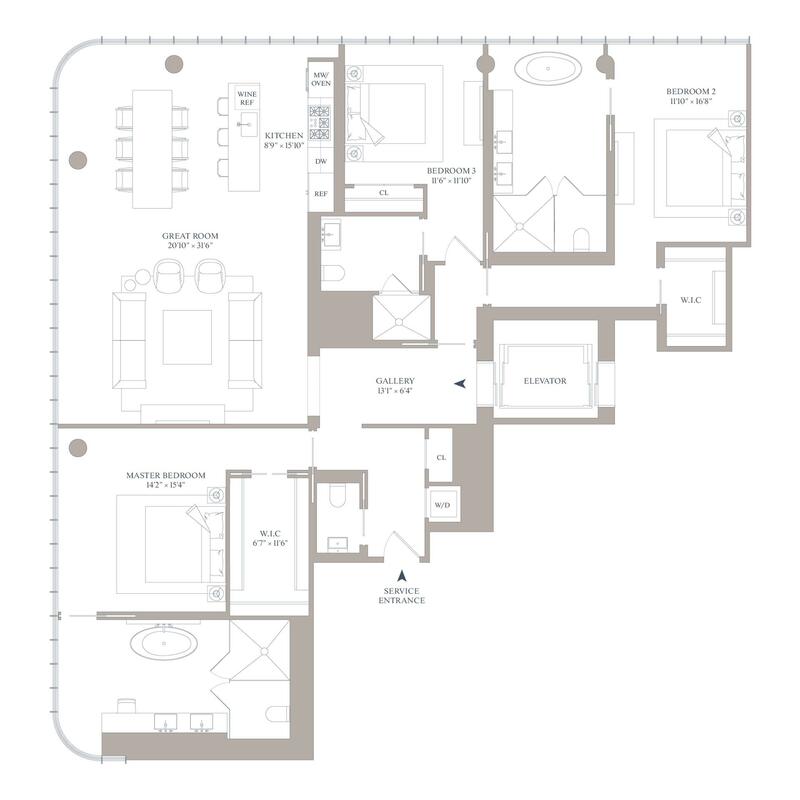 The west facing master bedroom suite reveals a large walk in closet and a spacious en-suite five-fixture master bath with an elongated custom white oak vanity and integrated double sinks, a Muse by Kos deep soaking tub, a separate oversized shower and private water closet. Two additional bedrooms are generously proportioned, each offering abundant light through north facing views and en-suite bathrooms. This wonderful home is also complete with a high capacity whirlpool washer, vented dryer, and a multi zoned heating and air conditioning system.